Extensive still imagery, video and now 360 views inside and out are vital if a used car is to be viewed online by a would-be buyer. But having all the right assets to market your used cars in the best way will be most effective if time to web is fast, let’s face it, practically immediate. Would-be buyers will skip a car if the dreaded ‘awaiting imagery’ icon appears on their device screen whilst searching for their next used car so to increase the chances of a vehicle’s page being opened and browsed, images are a necessity. Customers tend not to click on ads with poor or no images whilst video increases dwell time according to research carried out by Auto Trader. CitNOW’s own Benchmarking Report Vision Research* revealed that 74% of buyers are more likely to make a purchase if they’ve watched a video of the product. And with 2018 dubbed ‘the year of the used car’, that key KPI – time to web – has never been more important. Used car values continue to climb with CAP HPI reporting values strengthening further in the first 10 days of February on the back of a used car surge in January whilst the gathering momentum of used cars following fewer new registrations made national headlines in November for one large dealer group. With dealers now busy managing their enlarged stock of used cars following the plate change a few weeks ago, the race to upload all digital assets to the dealer, manufacturer and classified websites is intense. This revised focus on used cars to drive profits means the ability to upload digital assets as soon as a car is retail ready gives dealers the edge. 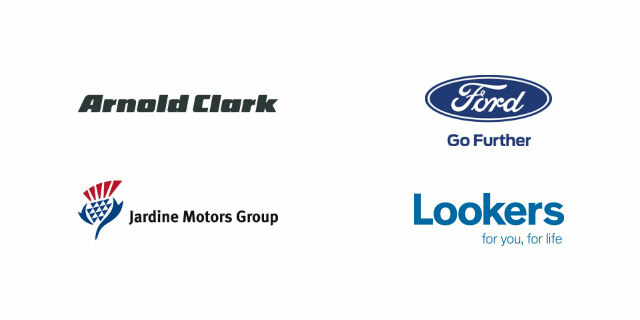 Retailers want cars on their website as soon as possible after they arrive in the dealership, the sooner the car is in the marketplace, the sooner dealers can shift it and the more that can be offered at the first point of enquiry by a customer, the higher the chances of selling that vehicle quickly. Crucially, just as the car receives a multi-point check, full valet and documentation are verified, video, imagery and interior 360 can now also be managed by the retailer. 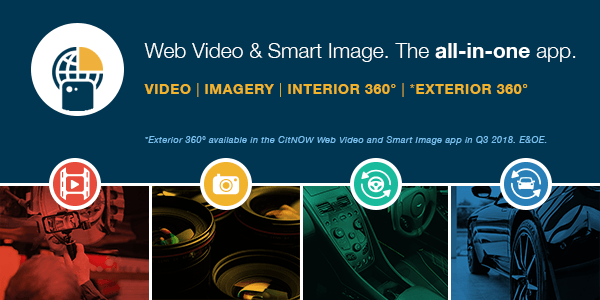 CitNOW’s Web Video and Smart Image with 360 interior, provides all the means to capture the digital assets to market a used vehicle at a click and places control back in the hands of dealership staff. The video taker can move from one to the other seamlessly and manufacturer standards are embedded in the software. It means a car’s digital assets can be uploaded to websites in just a few hours. Compare that to the time when dealers had to wait for the photographer to turn up on site from one week until the next. Now dealers can meet two key KPIs – manufacturer corporate standards for imagery and video and time for those assets to be uploaded to websites – within hours or even minutes of the car appearing on the forecourt. Enquiries come through quicker increasing the likelihood of a sale which in turn improves stock turn, sales and profits. One app, multiple digital content, online within hours.